Thank you for your interest in ScarabWeb. We have been present on the World Wide Web since 1996 and have gathered a lot of experience since then. ScarabWeb as a company originally started out in 2003 as a freelance project designing websites. When several customers asked whether we could also host their site, we thought this was a good idea and started offering small hosting packages together with our webdesign business. 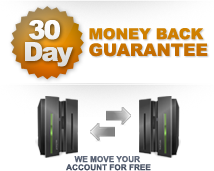 As we got more and more customers using our hosting services, the decision was quickly made. We changed our main services to hosting and haven't looked back since. ScarabWeb as a webhost, started its services in May 2005. At first offering just small shared hosting accounts, we quickly started to expand our services and can now proudly offer a wide range of shared and reseller accounts, as well as VPS and dedicated servers. All of this is topped off with excellent 24x7 support. We are now an established webhost based in Finland with its data center and servers based in Orlando, Florida, USA. We focus on offering a high quality hosting experience to our customers. Not just technically, but also in our support area. We take great pride in our services, and make sure that the customer always comes first and is treated in a friendly manner. All of this is done by bringing you the very best quality in hosting and by keeping our prices low. We are able to do this because we target volume, and we have made great deals with several companies. Instead of making a bigger profit out of these deals, we pass them on to our customers, so we are able to offer high quality services at such low prices and still make a profit. ScarabWeb is here to stay and to do what it does best: to continue offering affordable quality hosting solutions. We look forward to having you as one of our customers soon! ScarabWeb mission is to provide quality webhosting and ecommerce solutions to the small business while at the same time having options for enterprise companies and personal needs. We look to perfect and compete with all pricing out there and provide the best features as of our Tier 1 Datacenter. Our goal is to have great customer services all around the shifts with fast resolution time. We always look forward to keeping the customer in contact all the time just incase a problem occurs. ScarabWeb is now featuring ticket, livechat, and phone support to all its customers all around the world.